Volcanic Rock Gym: MAKE YOUR MOMMA PROUD!!!! Its mother's day and what better time than today to make yours proud! 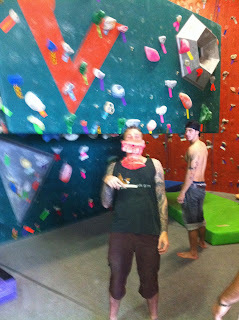 We are hosting a bouldering competition today at Volcanic! The madness will begin at 5pm. Competition climbs will be off limits to competitors before then.